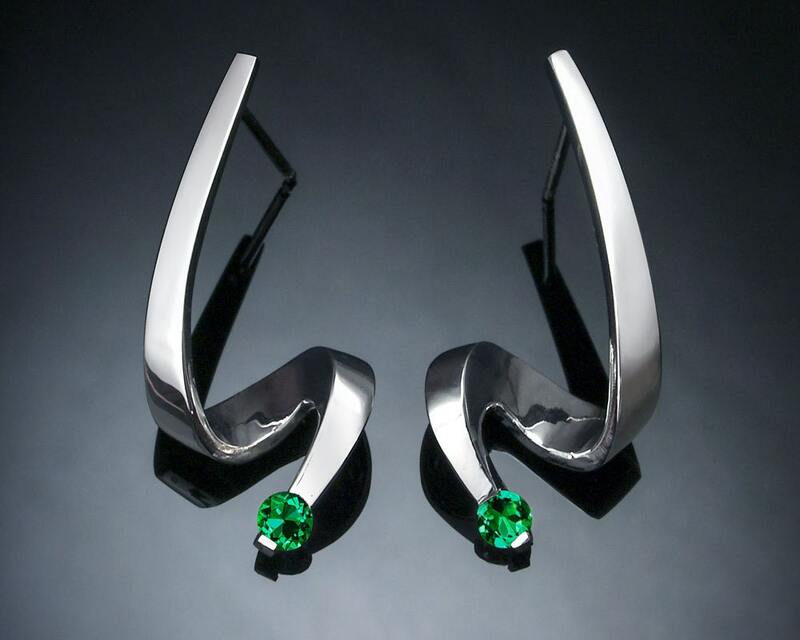 Emerald Earrings - Argentium Silver - 2380 A delicate earring design with clean, contemporary lines. 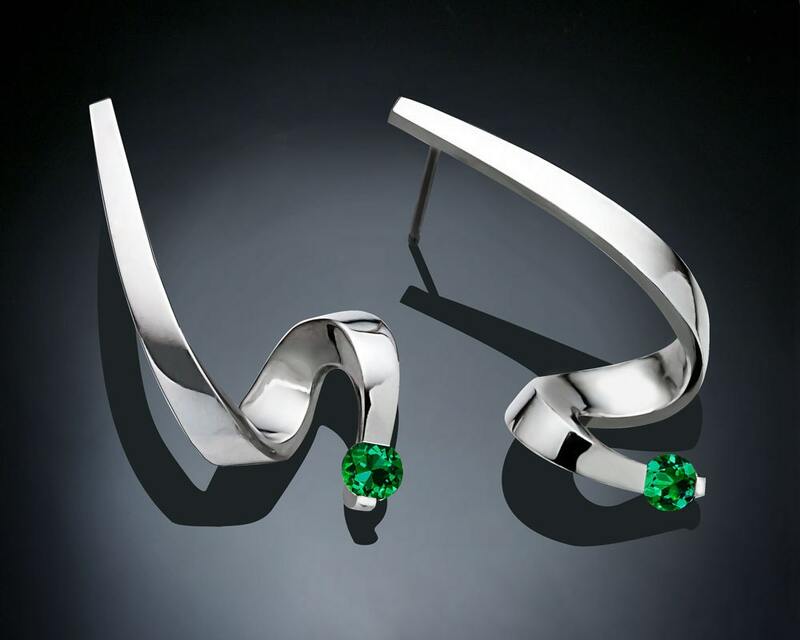 Cast in Argentium 960 premium quality, 100% recycled silver, these earrings measure 27mm x 13.5mm, or 1 1/16 x 1/2 inches, and hold 3.5mm Chatham Emeralds at the tip. CHATHAM EMERALD: Emeralds have long been treasured for their brilliant green beauty. 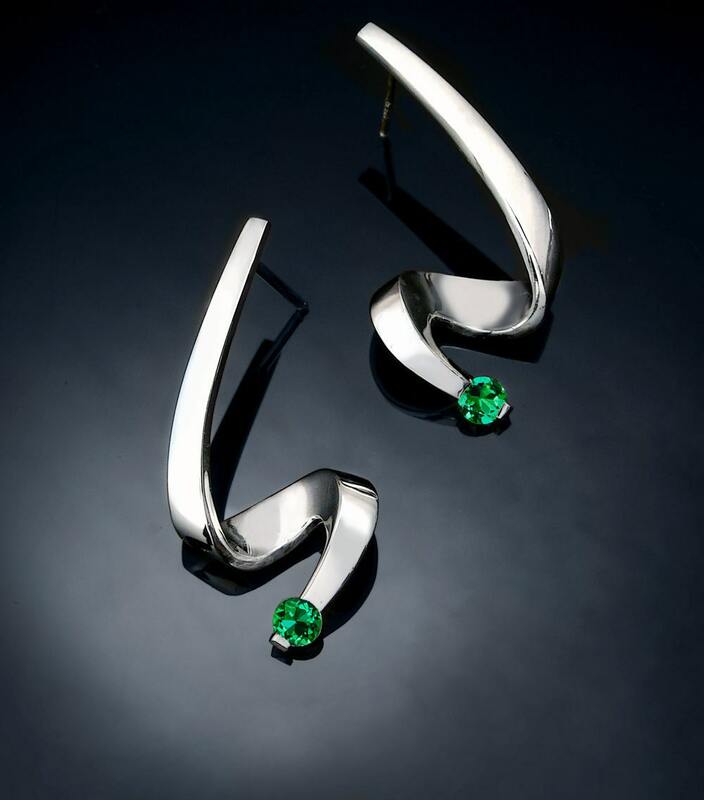 Chatham Created Emeralds provide an economical and environmentally responsible alternative to mined gems. 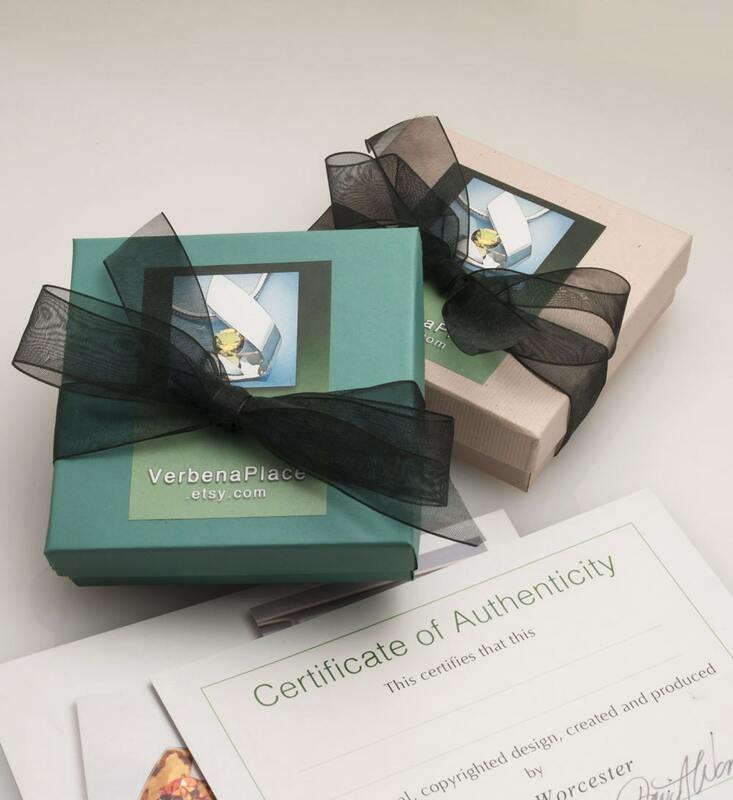 Lab grown under the same conditions which create an emerald in nature, Chatham emeralds are identical physically, chemically, spectrally and optically to mined emeralds. Emerald is the gemstone used to celebrate the 20th, 35th or 55th wedding anniversary and May’s birthstone. My fiance absolutely loved these earrings. They are definitely modern and different... Meaning they stand out in a great way. Simple elegance is my fiance's style and these fit the bill. It's great when you can find something that is a combination of unique, simple, elegant... Without being gaudy and over the top. Couldn't have been more pleased. Thank you so much. Good quality & perfect job.